50 lucky winners will receive an XD-S 4.0” 9mm handgun and Pro-Shot 6.5” universal cleaning kit from Springfield Armory. 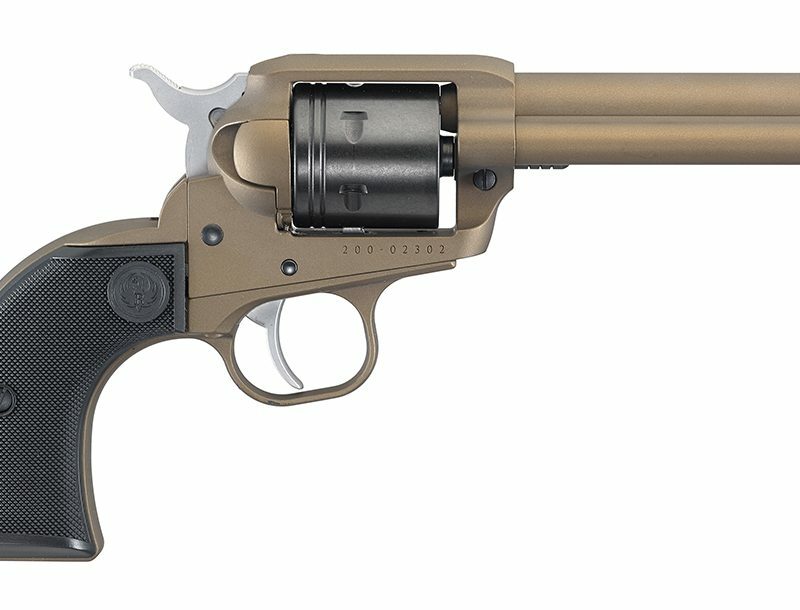 Springfield Armory®’s fourth and final “Wild Wednesday” as part of its ongoing DUEL 3 promotion includes a whopping 50 handgun prizes from its own collection of products. The total value of the prizes is nearly $26,000. There will be 50 lucky winners who will receive an XD-S® 4.0” 9mm handgun and Pro-Shot 6.5” universal cleaning kit. 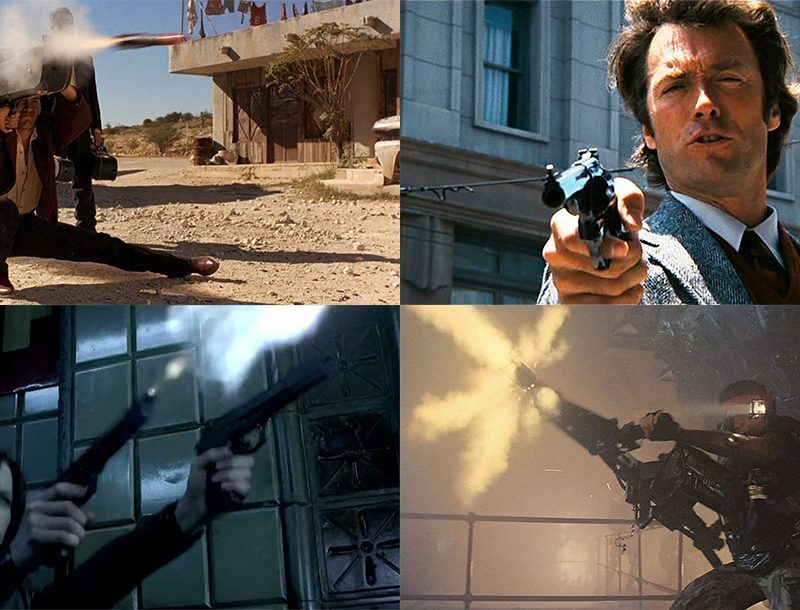 To participate in the promotion, just visit DUEL.Springfield-Armory.com/Vote and vote on this week’s head-to-head matchup, 1911 LB Operator® .45ACP versus 1911 MC Operator® .45ACP. In addition, the guns qualify as part of Springfield Armory®’s currently running “Gear Up & Go” promotion, which means all prize winners will receive two extra magazines, a dual-pistol range bag and a double-mag pouch. Participants can register at DUEL.Springfield-Armory.com to vote in the weekly “duel,” in which two Springfield Armory® firearms are pitted against each other in a side-by-side comparison. Each vote increases a participant’s chances of winning prizes, and registered participants can vote up to once an hour. 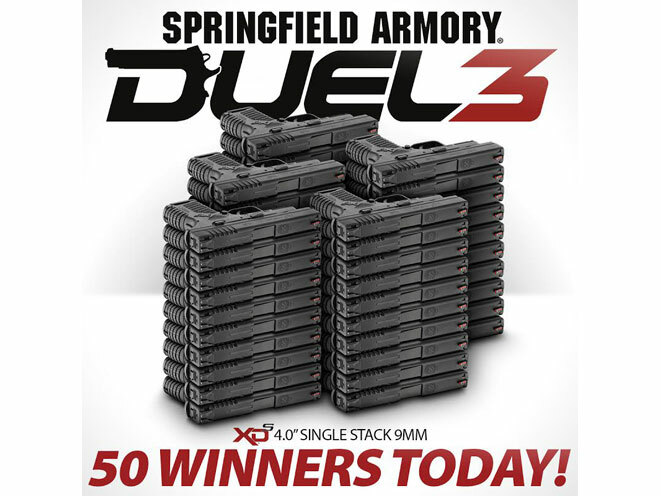 In addition to the DUEL 3 promotion, from Sept. 1-Dec. 31, 2015, Springfield Armory® is running a Gear Up & Go promotion. Any new purchase of a Springfield Armory® XD®, XD® Mod.2™, XD(M)®, XD-S® or 1911 handgun includes two extra magazines, a dual-pistol range bag and a double-mag pouch free with purchase. 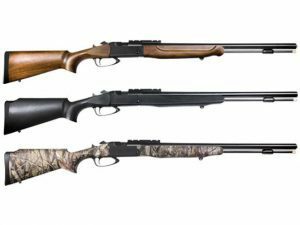 This is Springfield Armory®’s third iteration of one of the shooting industry’s largest gun and gear promotions. Participants are eligible for daily and weekly prizes, as well as one grand prize.